​Healing Waters Lodge (HWL) is an experience...a grand experience that you will never forget. 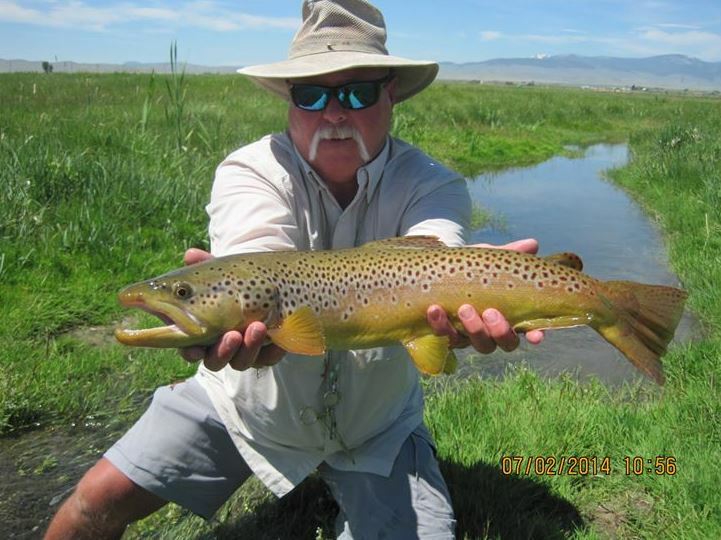 Located in the isolated Ruby River Valley near Twin Bridges Montana, HWL is in the very heart of the Montana fly fishing experience. Once there, long forgotten will be the daily grind: mountains, valleys, meadows, river water, and trout will be the inescapable focal point. 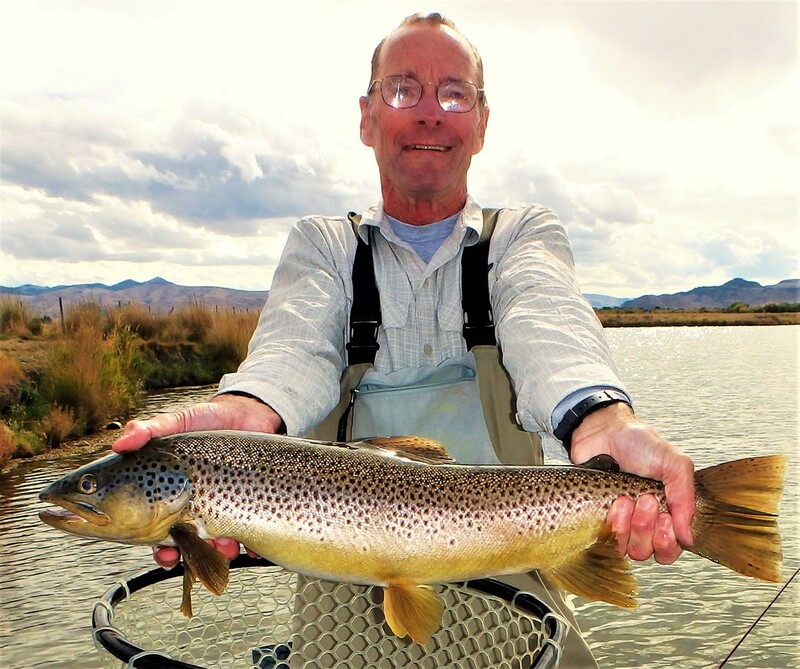 ​The lodge location is no accident; the Ruby, Big Hole, Beaverhead, Jefferson, Madison, and Boulder Rivers are easily accessible, each with their own beauty and angling experience. ​Yet it is the abundance of private water and private access to public water that distinguishes the HWL experience from all others: a gorgeous section of the lower Ruby River, intimate fly fishing in a peaceful meadow water; Alder Spring Creek-provides exclusive excess to spring creek fishing, challenging yet rewarding as it is full of big browns and brookies; Morse Ranch-provides exclusive access to 22 miles of the lower Ruby River, Includes a section of Leonard's Slough (a spring creek), miles of a small meadow stream called Mill Creek, just chock full of nice sized brown trout, only a few minutes from the lodge, walk and wade fishing, perfect for dry fly fishing, streamer fishing and hoppers in the summer and early fall; Wheat Ranch-provides private access to several miles of the lower Beaverhead which is not accessible to float anglers, includes a side channel that fishing like a spring creek, and a small lake full of big rainbows for the stillwater enthusiast; and much more...the Gund Ranch, the C9 Ranch, etc. ​Lots of water; never fish the same water twice. Lots of options; something is always fishing well! ​The fishing days are easy...the guides pick you up at your room after breakfast and bring you back to your room in preparation for a hot shower, appetizers and fishing stories, and dining. ​Mike and Laura Geary own and operate HWL...and it shows. It is managed to perfection with a personal touch clearly evident from both. You will instantly feel comfortable, appreciated, and at home with the HWL family. ​Dining is always a much savored experience at HWL. Entrees etched in my memory are agrodolce style pork porterhouse, grilled wild-caught Alaskan salmon, roasted top sirloin, rack of lamb, and roast bison tenderloin. Appetizers, salads, sides, deserts and drinks are equally delicious. ​Perhaps the highest mark of distinction for HWL is their extremely high return rate. I know that many discriminating clients return year after year to HWL. 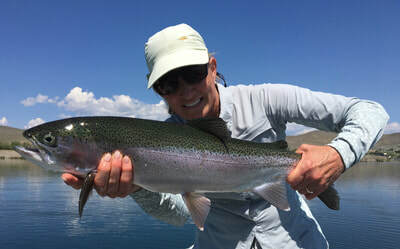 Of course, part of this is attributable to the consistent, high quality fishing that is a natural result of having access to an abundance of highly productive, Montana trout water. However, I think the main reason is that HWL does an excellent job of providing the best "total experience" possible. Period! If you want the ultimate total experience in fly fishing, then you will love Healing Waters Lodge.